I love taking foods that everyone knows and putting a little twist on them. I think it revives them and makes them exciting again! So how about a Cuban? 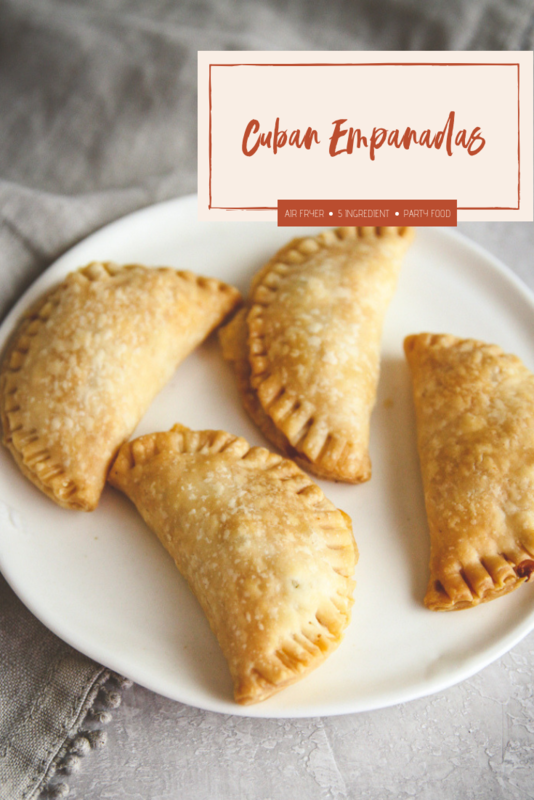 Today I’m sharing a super delicious and easy recipe for 5 ingredient Cuban air fryer empanadas. If you’re anything like me, you love Cuban sandwiches! 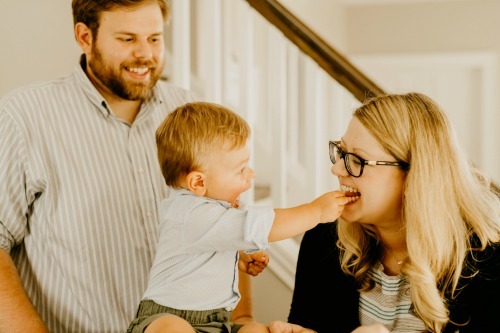 I should rephrase that…if you’re anything like my husband, you love Cuban sandwiches (they’re his all time favorite sandwich!) 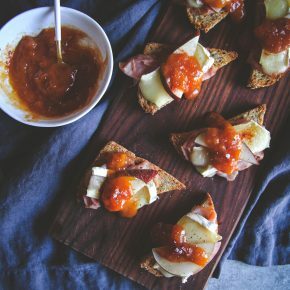 They are like a tangy, more fun version of a ham and cheese sandwich. I’ve taken that classic recipe and decided to rework them into an empanada made in an air fryer! I love empanadas. I think they are like little pockets of goodness that you can fill with almost anything and experiment all sorts of recipes. Empanadas are made around the world and everyone does them differently – savory, sweet, spicy etc. In Milwaukee, we even have a restaurant that I love to go to called La Masa Empanada Bar. You can order a la carte empanadas so you get to try all sorts of different flavors. It’s so fun! And you can try endless mixtures of yummy fillings. My only complaint with empanadas is that, most often, they are fried which doesn’t quite work for my attempt at eating healthier. 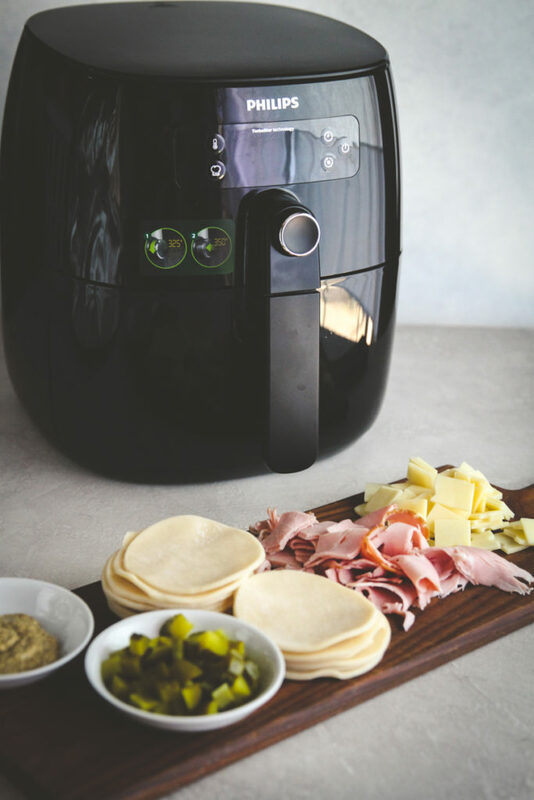 So, the perfect solution became my air fryer (which I’m completely in love with!) Of course, you can always bake them on a sheet pan as well. I just prefer the crispiness that I get when using my air fryer, they literally taste fried (but without the hassle or extra calories of actually frying). 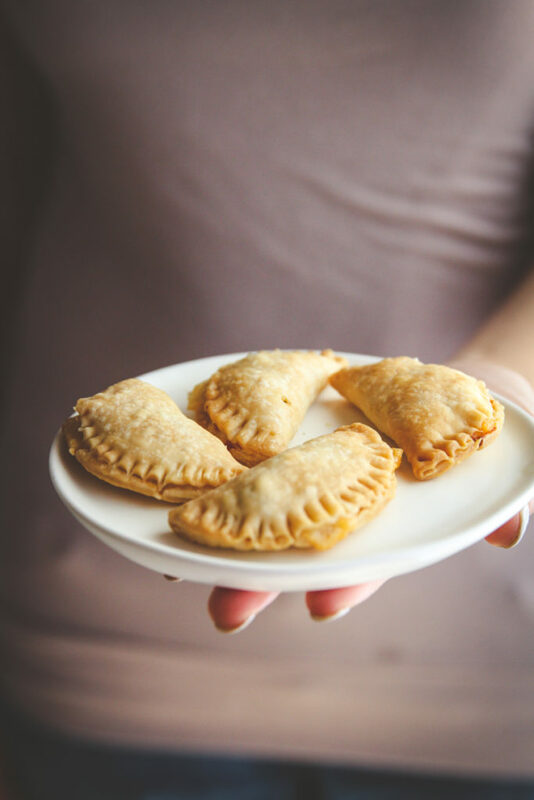 For these Cuban empanadas, I used pre-rolled pie crusts to make it even easier (I know there are specific empanada dough rounds out there somewhere, I’ve just never seen them at my grocery store). Once I cut the pie crust in circles (using a biscuit cutter), I simply spread mustard on the base and layer in the rest of the ingredients. Then, to finish them off, I rolled the dough over and sealed the edges with a fork. Of course, if you prefer, you can always use a fancy empanada press. Next, I put these little pockets of goodness in my air fryer and let them crisp up! Set for 350 for 8 minutes, flip halfway through and that’s it, you have amazing air fryer empanadas in 8 minutes! I love love love these for a special lunch, light dinner or appetizer at any party. 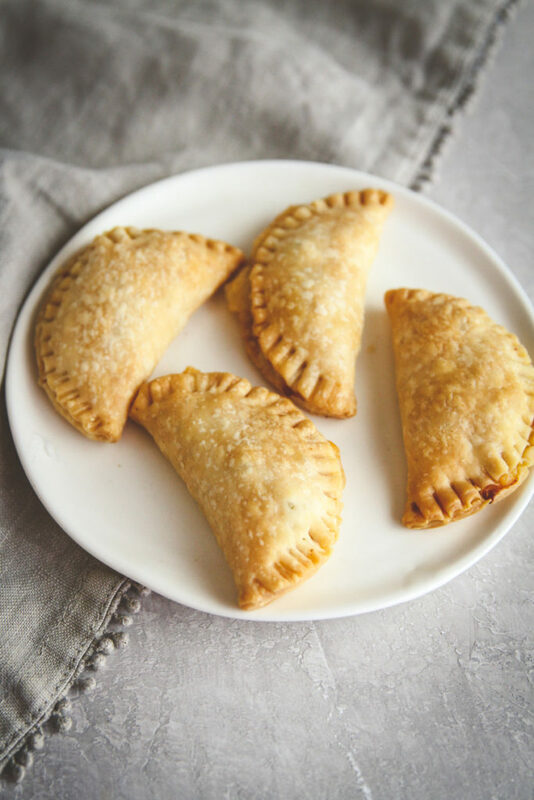 You can’t go wrong with these amazing 5 ingredient Cuban air fryer empanadas. 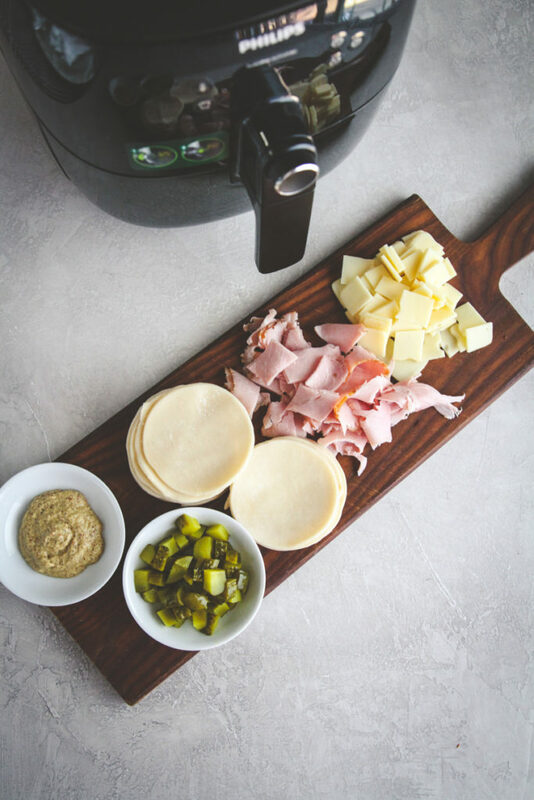 Looking for other air fryer recipes? 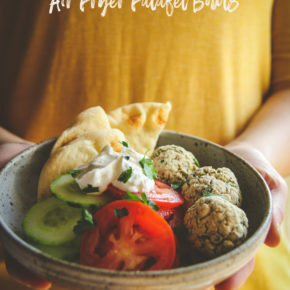 I love this 5 ingredient crispy chicken and these air fryer falafel bowls. 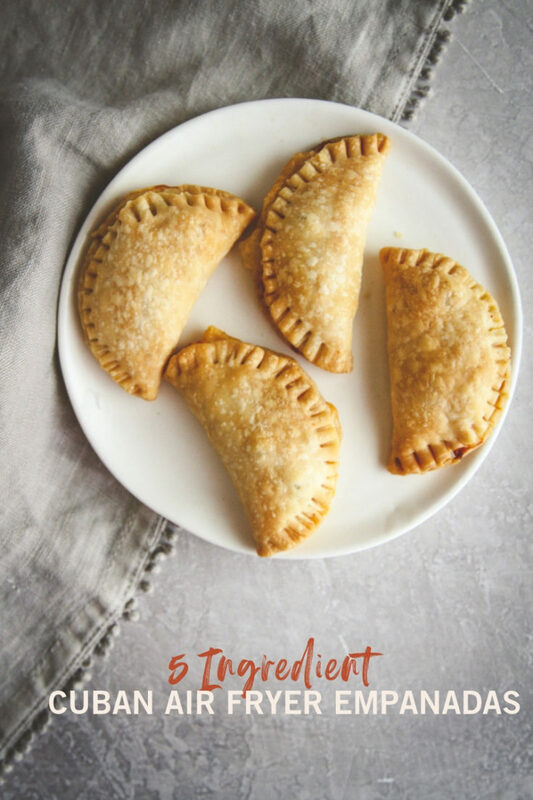 Delicious 5 ingredient Cuban empanadas are made in an air fryer and are ready in 8 minutes! 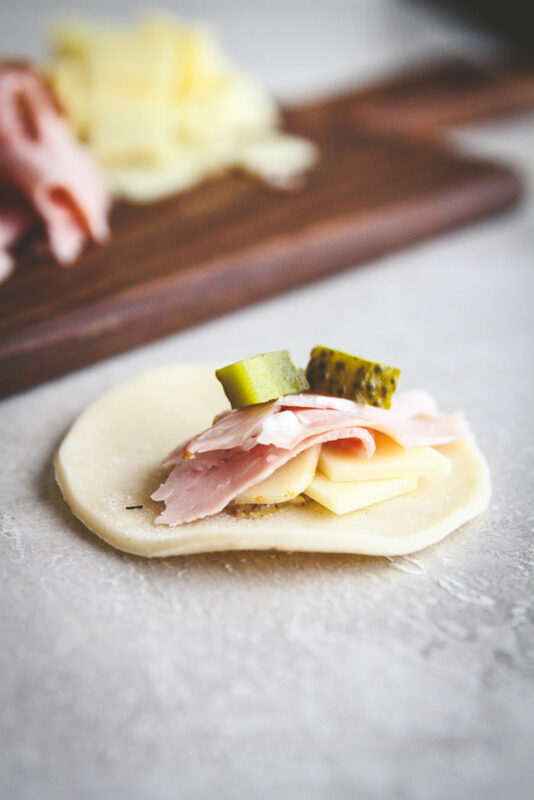 Using a butter knife spread a little bit of mustard onto one half of a circle of dough (don't spread it all the way to the edge), then add a little bit of ham, then add a cheese pieces, then a few pickle slices. 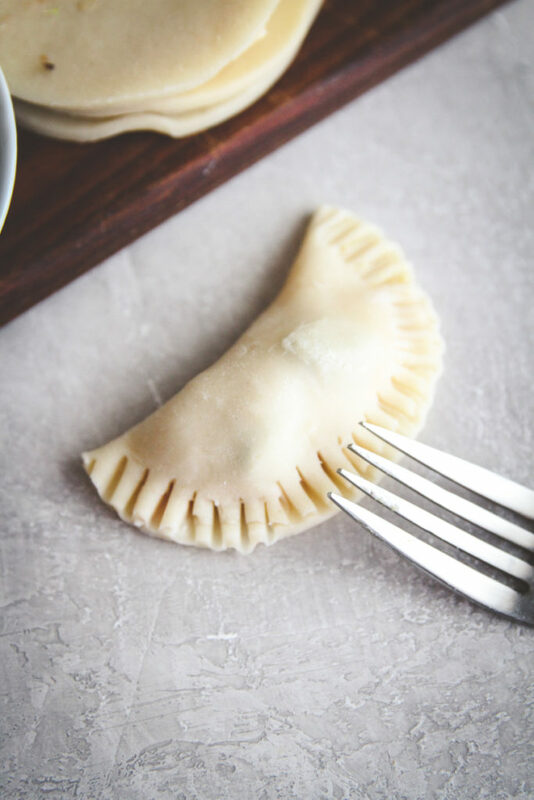 Fold the dough over to cover the fillings and using a fork press/crimp the edges of the empanada together so that no gaps remain (you don't want the filling oozing out). Spray the basket of your air fryer with cooking spray. Put empanadas into the basket and spray empanadas with a little bit of cooking spray (don't over-crowd the basket, depending on how big your air fryer is you might have to cook the empanadas in batches). Cook for 8 minutes, flipping empanadas halfway through. 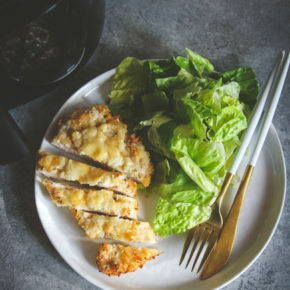 Remove from air fryer with tongs and then enjoy! These sound amazing! I grew up in Miami with empanadas and cannot wait to try them in an air fryer!